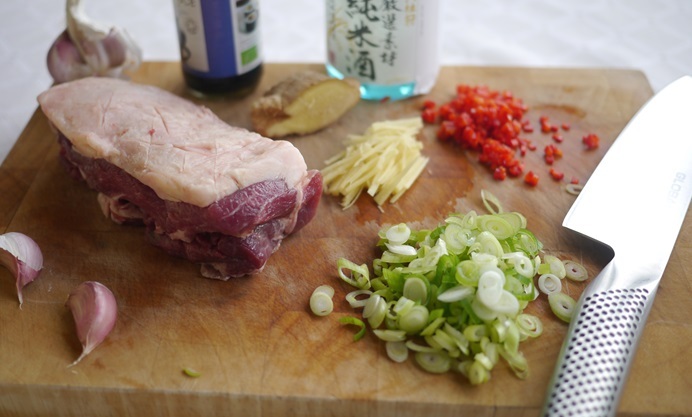 Adding the Japanese flavours of sake and miso to this simple lamb recipe completely transforms the dish into something special. 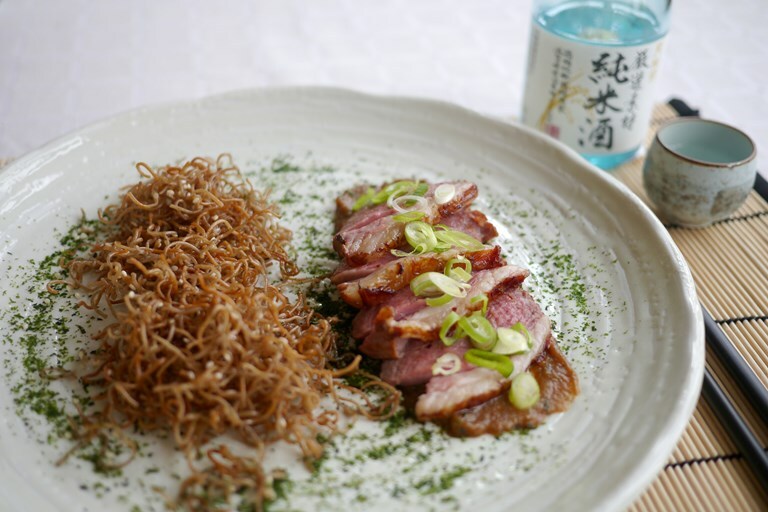 Victoria used the dry Gekkeikan Gensen Sozai Junmai Sake to marinate the lamb and serves with some crispy sesame soba noodles. Impress your friends without breaking a sweat. 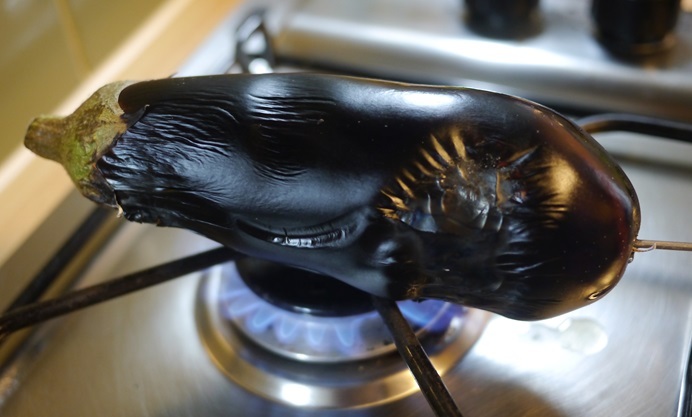 This low effort, high impact recipe has so many layers of flavour. 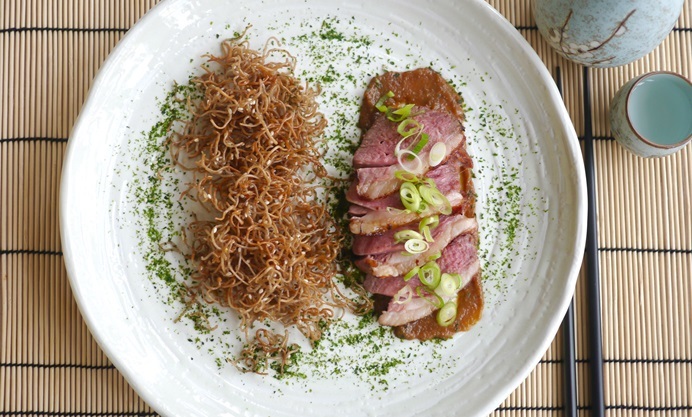 The sweetness of the lamb balances the smoky umami depth of the aubergine and miso purée, while the crispy soba noodles adds a pleasing contrast of texture. The crystal clear and bone dry Gekkeikan Gensen Sozai Junmai Sake gives the whole dish a refined and polished edge.